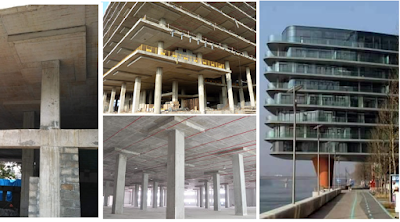 Flat slab building structures possesses major advantages over traditional slab beam column structures because of the free design of space, shorter construction time, architectural functional and economic aspects. Because of the absence of deep beams and shear walls, flat slab structural system is significantly more flexible for lateral loads then traditional RC frame system and that make the system more vulnerable under seismic events. The results of the analysis of some types of building systems presented in the article show that the system of flat slabs with certain modifications (design of the beam in the perimeter of the building and / or the walls RC) can reach a factor of rational behavior considering EC8 and can be considered as a system with acceptable seismic risk. 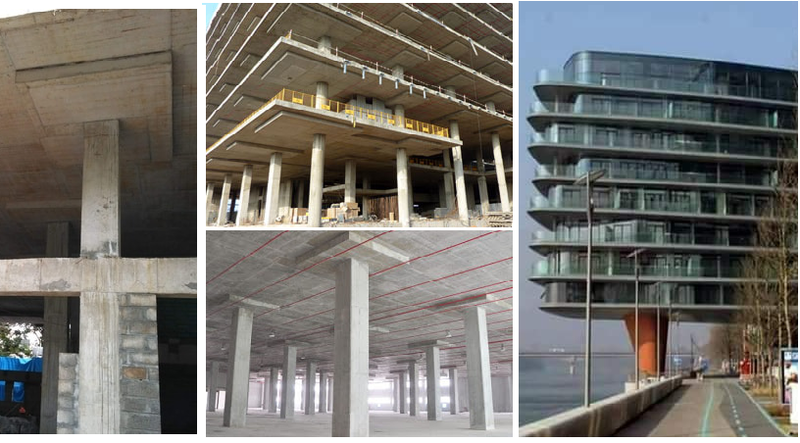 Modifications with additional building elements improve the low load bearing capacity of the system and increase strength and rigidity, thus improving the seismic behavior of the flat slab construction system.